Garth Brooks sold 125 million albums just in the US. He’s arguably the most successful solo performer of the United States. He divorced from Sandy Mahl in 2000. Afterwards he started seeing Trisha Yearwood, a fellow country singer and the two got married in December, 2005. 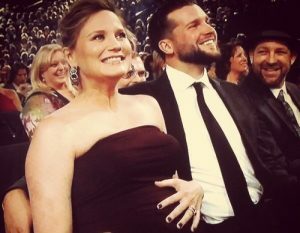 Jenniffer Nettles is the lead singer of the country duo “Sugarland” and she is currently married to Justin Miller. Their wedding took place in November 2011 after dating for 2 years. Prior to that she had divorced her former husband in 2007. Martina McBride made a crossover into pop-country style. This was very good for her career because it gave her a nation-wide appeal. She married John McBride in 1988. He’s an audio engineer. Though Amy Grant doesn’t really sing country music but rather Christian Gospel, she’s a media personality. Amy is a writer and an actress as well. 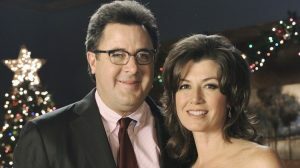 After performing alongside Vince Gill in a christmas country music special they developed a friendship that ultimately led to marriage after both performers obtained a divorce. 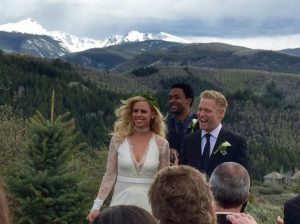 Amy and Vince got married in March 2000. Jamie Lynn Spears is the younger sister of Britney Spears. She became famous in 2005 for her role on Zoey 101. The media went wild when her pregnancy at age 16 became public. Jamie started singing country music. Her first single was released in 2005. Jamie Lynn married Jamie Watson, a voice actor. The marriage took place two years after they started dating, in March 2014. 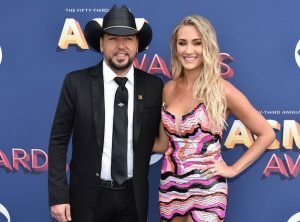 Jason Aldean has enjoyed a tremendously successful career. His singles have reached #1 eighteen times on the “Hot Country Song Chart.” Jamie was still married to Jessica Ussery (his high school sweetheart) when he had an affair with Brittany Kerr, who was an American Idol Contestant. 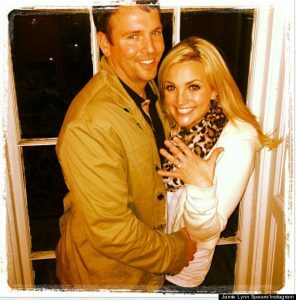 Jason divorced Jessica and dated Brittany for a year before marrying her in March 2015. Shania Twain is the female country music performer that has sold more records in the entire history of country music. Her husband, Robert John Lange -a producer- had a rather notorious affair with Marie-Anne Thiebaud who was none other than Shania’s best friend. Shania divorced him and curiously enough, married Frederic Thiebaud, former husband of Marie-Anne Thiebaud. The ceremony took place in 2010. 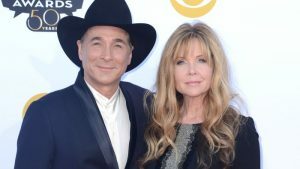 Clint Black is a renowned country singer. Thirty of his singles got to the Top Ten on the US Country Billboard Charts. Of those thirty singles, twenty-two took the #1 spot. He got married to actress Lisa Hartman and moved to Nashville in 2002. Darius Rucker is the former lead singer/guitar of the R&B band “Hootie and the Blowfish” and after he went solo he transitioned into country music. In 2008 he signed with Capitol Nashville. Darius married Beth Rucker in 2001. They already had a daughter, born in 1995. James Otto is part of “MuzikMafia” a group of musicians who “create country music without prejudice.” James married his now wife Amy in October 2005. Her maiden name is Alderson. 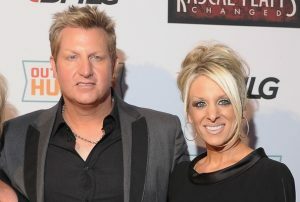 Keifer and Shawna Thompson have been married for over 15 years. 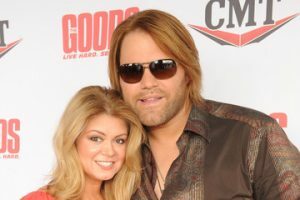 They are a rather successful country duo with 2 singles getting on the #1 spot; both on the “Hot Country Songs” and the “Country Airplay” charts. 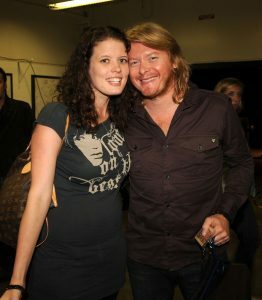 A member of “Little Big Town” a country band where all the members sing in rotation, Phillip Sweet married Rebecca in March 2007. Phillip also plays the guitar. 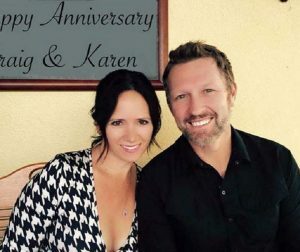 With 17 singles on the Billboard Country Charts, Craig Morgan, who released his first album back in 2000, is married to Karen Morgan. The couple suffered a tragedy when their son had a traffic accident and was found dead, 10 days later, on the Tennessee River. 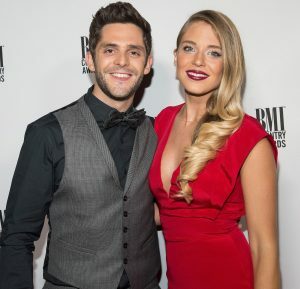 With six #1 singles on both the Hot Country Songs and the Country Airplay charts, Thomas Rhett married Lauren Greggory. The couple met when they were both in 1st grade at school. After repeated unsuccessful attempts to conceive, they decided to adopt a child. Then, Lauren got pregnant. They’re keeping both. 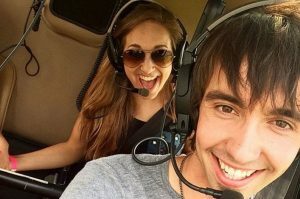 Sam and Hannah got engaged just over a year ago in January 2017. According to Sam, Hanna is the inspiration for much of his music. His album “Montevallo” got its name from her hometown. During an interview with “E!” Sam explained that the moments he spent with Hannah before he moved to Nashville inspired many of the songs in the album, though he had never been in Montevallo himself. Kelsea Ballerini is a Country Pop star. She was nominated as Best New Artist for the Grammy Awards. While she was in Australia co-hosting an award show she met Moran Evans. She got engaged to him in December 2016. Mo Pitney’s first album got to the #10 spot on the “Top Country Albums Billboard” during the week it was released in October 2016. Mo was only a teenager when he met Emily and according to him, it was love at first sight. They got married in March 2016. Their engagement took place in April 2016 according to the Facebook post he published making the announcement. 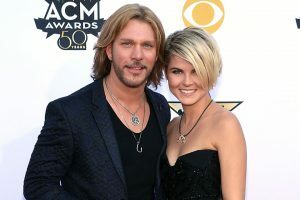 Craig Wayne Boyd, formerly a contestant at “The Voice” met Taylor Borland, a model, during the contest. 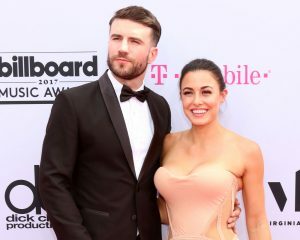 Their engagement took place in June 2015 after dating for a while. They got married not long afterwards and now have a daughter. Nick Hoffman is a member of “The Farm” a country group. He plays the fiddle and sings. Their first album which was self-titled, had 2 singles that made it to the Top 40 on the Country Airplay chart. In May 2016 he married Nathalie Murphy. She is both a singer and a songwriter.